Google recently bulked up its Calendar apps for Android and iOS, but they don't have location-based reminders or a snooze button for alerts, and they generally lag behind the competition. Google Calendar has been my desktop calendar program of choice since 2008. On iOS, however, I always default to Apple's Calendar app. Maybe it's laziness, or I'm just not inspired to change. Google's most recent update to its Calendar app for iOS and Android packs some welcome new features — but it's still not going to make me switch from Apple's calendar. Here's why. Google Calendar now has a "Reminders" feature. If you tap the "+" icon in the bottom right corner of the app, two options appear: "Event" and "Reminder." Tap Reminder, and the app shows prompts to create specific reminders, such as "call," "email," "read," or "make reservations." When you select an option, you see a second set of prompts. If you choose "make reservations," for example, you can then select "make reservations for Friday" or "make plane reservations." You can elaborate with text or just click "Done." And additional options let you set reminders for specific times, designate them as "All-day," or choose to make them repeat. Unfortunately, the app doesn't have location-aware reminders; you cannot add photos or "sub-notes" to reminders; and there's no snooze buttons to hit when reminders kick in. You can, however, choose different push notification styles for your reminders. Google Calendar's more visual approach is a nice touch, however. 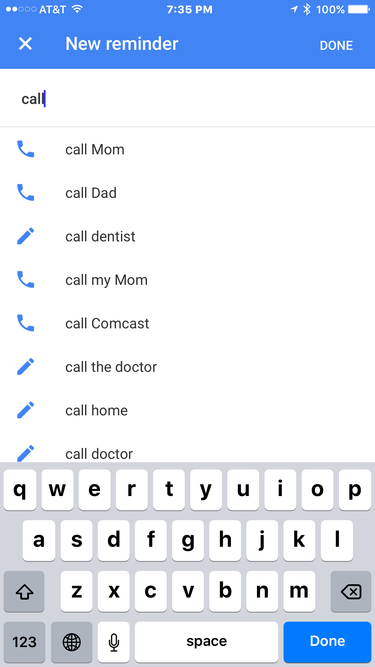 The app's "Schedule view" displays upcoming appointments along with small maps, for example, as long as you add addresses to appointments. Google Maps opens if you tap an address — a welcome option for those who prefer Google's navigation app over Apple Maps. 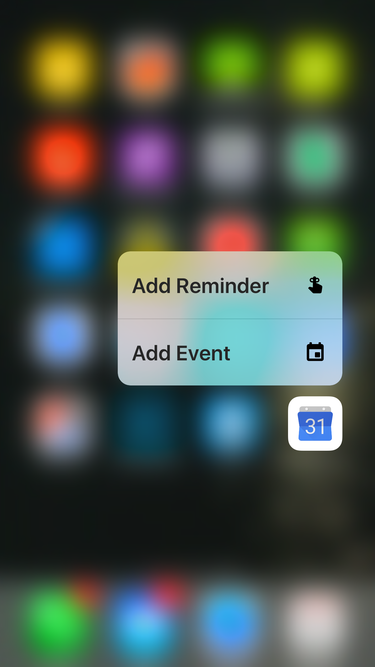 Google Calendar on iOS also now supports 3D Touch, so you can quickly add new reminders and events. Like the dedicated Reminders feature, it's a nice enhancement, but for me it's not enough to replace Apple's iOS Calendar app.